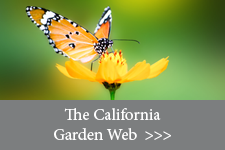 The California Garden Web serves as a portal to organize and extend to the public the University of California's vast collection of research-based information about gardening. 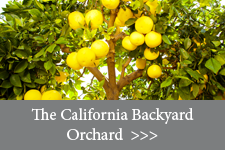 Visit The California Backyard Orchard to learn about the home orchard and understand that it is, in fact, a living expression of genetics interacting with soils, weather, tree spacing, pests, and many other factors. Find quality peer-reviewed products produced by UC Division of Agriculture and Natural Resources (ANR) at the click of a mouse. 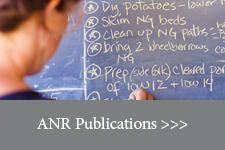 Whether you're looking for advice on crop production, pest management, study materials for Department of Pesticide Regulation (DPR) exams, nutrition, or gardening , you'll find it in the ANR catalog. The horticultural staff of the UC Davis Arboretum has identified 100 tough, reliable plants that have been tested, are easy to grow, require little water, have few problems with pests or diseases, and have outstanding qualities in the garden. 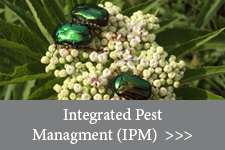 Many of them are California native plants that support native birds and insects. 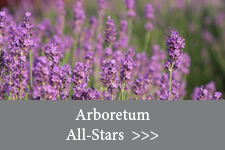 Most All-Star plants can be successfully planted and grown throughout California. Have a gardening question? 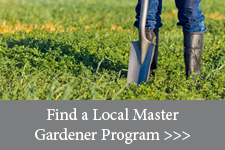 Are you interested in learning more about your local county-based UC Master Gardener Program? Find the UC Cooperative Extension office near you to answer your gardening or program questions.